It’s still early days for self-driving cars. Inch by inch the technology is improving, such that the idea of sitting back and letting the car do the driving is not nearly so strange as it seemed just a couple of years ago. Still, every mishap with one of these self-guided wonders raises the question: can we trust these machines to keep us safe? A recent report from Chandler, Arizona has people wondering. Google reports that three of its vehicles were involved in collisions last month. That might make one uneasy about the readiness for prime time of this technology. But a closer look is instructive: two of the crashes happened while the self-guidance system was being overridden and a human driver was in control. In one of them the other driver ran a red light. The third car was rear ended by – big surprise – a drunk driver. So here’s a question for anyone skeptical about the advisability of self-driving cars: have you looked around at the cars being driven by people, and seen how that’s working out? 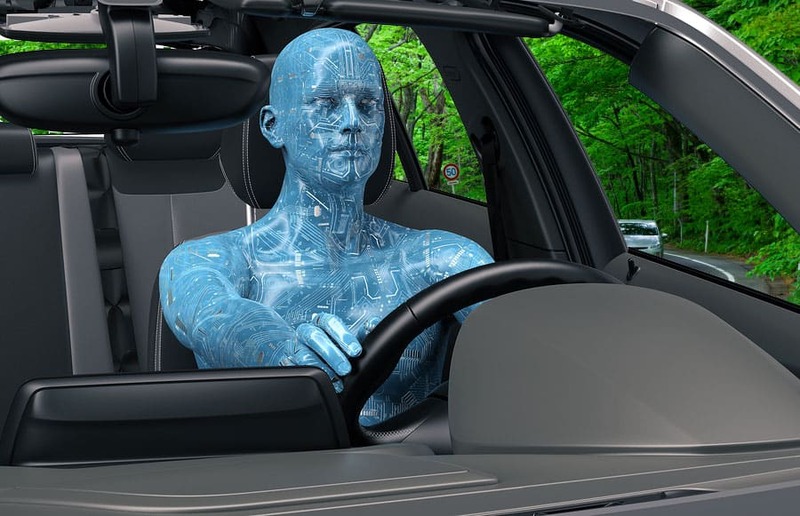 Here’s a hint: more than ninety percent of vehicle crashes are caused by human error. Given the tendency of humans to make mistakes and engage in bad decision making, why do we even want to keep entrusting driving to these flawed, unreliable creatures? Self-driving cars would eventually take drunk driving out of the picture entirely, making the roads safe – if a bit more boring for some. Will we lose our interest in driving completely? Certainly many people who grew up driving will still want to enjoy the surge of the accelerator and the feel of the car obeying the driver’s whims. Perhaps they’ll be able to enjoy it in a specialized environment – much like horseback riding. So the news from Chandler is far from alarming. In fact, it’s encouraging that eventually drunk drivers will not be behind the wheel – because there won’t even be a wheel. Until then, DUI patrols and ignition interlocks will have to be our defense against the dangers of impaired driving. For example, Sober Steering is a company that has created an alcohol sensor that attaches to a driver’s steering wheel. All a driver has to do is place an ungloved hand on the transdermal (through the skin) sensor pad for three seconds. The sensor is then capable of registering the driver’s blood alcohol level. If above a certain pre-set limit, the vehicle will become immobilized. If the driver is below the limit, the vehicle will start and, once started, will alert the driver periodically to place his hand on the alcohol sensors to confirm he hasn’t started drinking while driving. Sober Steering’s Chief Operation Officer Catherine Carroll says, “Technology exists to solve the problem of drunk driving. “We just need to raise awareness.” One of the attractive features of Sober Steering’s technology is that it’s non-evasive, meaning that it doesn’t require drivers to change their typical driving behavior. The transdermal sensors are virtually undetectable and all the driver is required to do is touch the alcohol sensors. Sober Steering’s also looking to lobby for premium insurance discounts on vehicles that have the alcohol sensors installed. The goal is for these devices to one day be as commonplace as air bags. Right now the technology is only available in Canada and is being unrolled in phases, currently being installed in school busses. So, the question arises. What do you think about this technology? Would you be open to such alcohol sensors since it’s not noticeable and doesn’t require you to change the way you drive? Feel free to share your feelings on this in on Comment section. 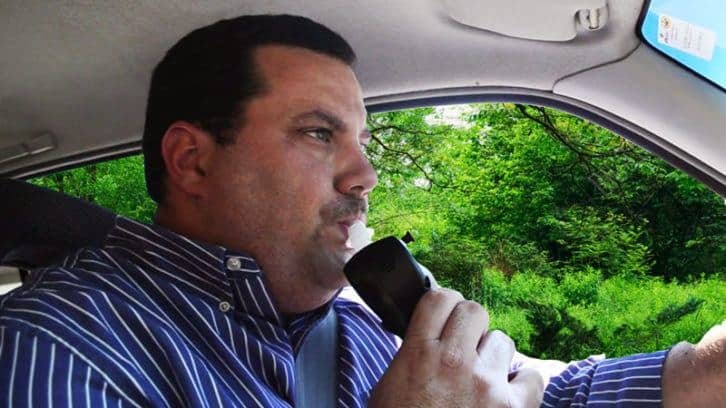 My Interlock Requires a Breath Test While Driving – Is that Dangerous? Today’s post comes to us from fellow ignition interlock provider, LifeSafer. In fact, interlock manufacturers have developed technologies that make it very difficult, if not impossible, to bypass an ignition interlock and drive drunk. One such technology is the rolling retest, a required breath test while driving. After you’ve passed the initial test and have been driving a few minutes, the device will require you to blow into it again. If you fail or refuse this rolling re-test, alarms will sound — the horn will honk and lights flash, forcing you to pull over. This retest is required periodically in order to prevent scenarios like the one described above. “Curb service” — having a sober friend “assist” you by blowing into the interlock — is no longer feasible. Sometimes drivers are concerned that this breath test while driving is dangerous or distracting. In fact, it’s perfectly safe when done correctly. When your interlock signals for a retest, you have a certain number of minutes to pull over to a curb or shoulder and blow into the device. If pulling over is not possible, you can still take the test while driving; it’s not distracting at all. On a well-designed ignition interlock, the rolling retest uses audio only. The interlock emits a tone to signal that you should blow into the device. A different tone signifies that you have passed the test. There is never a need to take your eyes off the road. Not only is a submitting a breath test while driving not dangerous, it’s one of the most important safety devices on your car. It ensures that you can keep on driving, in compliance with the law, unimpaired and safe from harm. You sometimes hear people say that the ignition interlock in their car is a “punishment” for a DUI conviction. They consider the device part of the DUI package: a fine, a stay in jail, perhaps an impounded vehicle, and now an ignition interlock device to install and learn to use. To many drivers, having to blow into the device every time they drive feels like a punishment. But in fact, the purpose of an ignition interlock, or car breathalyzer, is not to punish. The device has one purpose only — to prevent alcohol-related road accidents. It treats all drivers of a vehicle equally, demanding that they breathe into a mouthpiece for a few seconds before starting the engine. Why use an interlock at all? Why not just punish offenders instead? Research has shown that impaired drivers are hard to keep off the road. License suspensions don’t work – 50% to 70% of drivers continue to drive on a suspended license – and while educational campaigns do help, they only work on people who are ready to receive the message that they shouldn’t drink and drive. Some people aren’t ready to take that message to heart and instead choose to drink and drive. The law considers that choice serious enough to merit immediate action. And ignition interlocks have been found to be the solution. As long as the device is in a vehicle, the choice to drink and drive – always a bad choice – is removed. Most people get used to the interlock quickly. The procedure of testing and doing rolling re-tests is not hard to learn. It becomes an automatic task like fastening seat belts. And like a seat belt, an ignition interlock is not a punishment – it’s a safety device. If you’ve been convicted of drunk driving, an ignition interlock is the best friend you have because it allows you to keep driving, working, going to school and otherwise leading a normal life. Today’s short but sweet (and hilarious) post comes to us from fellow ignition interlock provider, LifeSafer. Though hard to believe, apparently some fun people in Germany filmed a fake newsreel feature about a gadget that would detect alcohol on the breath and prevent a person from driving. In other words, an ignition interlock spoof. Let your creative mind ponder the possibilities. It’s unlikely you’ll come up with the same ideas as these folks. According to this short film, the spoof device dates from 1960 and amounts to an early version of an ignition interlock. The “Alkoholomat,” as the sci-fi device is called, has functions that go beyond anything available in the market today. Far beyond. Instead of just preventing the intoxicated man from driving, it…well, watch the video and find out for yourself. The spoof device supposedly originated from the “Department of Inventions Somebody Ought to Invent.” Talk about innovative. We’re on it. Ignition interlocks are installed through a vehicle’s electrical system. But every vehicle is different. Trucks are different from sedans, which are different from hybrid cars. Even different editions of the same car can be different. For example, let’s say a particular make and model was released in 2007. Then in 2010, a newer version was released. Even though from the outside the two editions look the same, their internal wiring could be completely different. This means ignition interlock service technicians must be extremely knowledgeable. This knowledge doesn’t just come out of thin air. It requires a lot of time and money to be invested into researching how to most effectively install the ignition interlock device without damaging the vehicle. Ignition interlocks work by disabling a vehicle’s starter/starting system. Starting systems have become much more diverse and complex among different vehicles. Let’s say we’re talking about a luxury car whose engine is located in the back. It requires an entirely different approach than a vehicle with a traditional starter. Another example of a starting system innovation that makes installations tricky is the explosion in popularity of push-button ignition switches. But hybrid cars are the most challenging. For one thing, there are more computer onboard systems and wires. This is because there is both a motor and an electric engine. To make matters worse, electric cars don’t have starters at all. So service technicians have to figure out alternative ways of installing their interlock device to disrupt the car’s starting system. This can require paying a dealership to provide information about the car’s internal makeup or even buying a hybrid car to use for research. It’s no wonder so many interlock providers charge an additional fee to work on hybrid cars. The cost to master the service is so great. But at Monitech, we’re proud to say we’re capable of installing our device in any vehicle. Even better, we install our device in every vehicle at the same cost. That’s right. Not only will we do whatever it takes to install our device in your vehicle, we don’t penalize you for driving a car we’ve never worked on before. Installing an ignition interlock in your Prius costs the same as installing one in an Accord. Keep an eye on our blog for more on what goes into installing interlock devices.